At Russell King Associates, we treat every candidate the same way we would a potential client. Russell King Associates has been finding jobs for individuals for 5 years and our team has over 20 years of experience in recruitment between us. 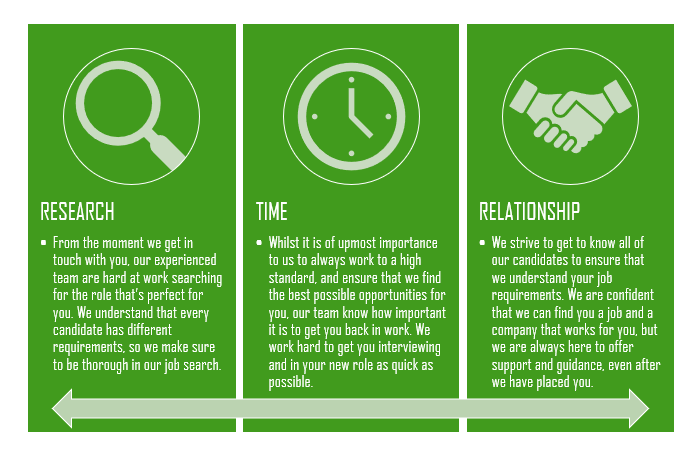 Our experience of the industry and strong understanding of our candidate’s and client’s needs and requirements, means that our team knows what it takes to provide the best recruitment service. We are an ethical consultancy, committed to providing an honest and consultative service. We know that finding a job is a big decision. That is why we pride ourselves with providing tailored guidance and assistance where required. Your privacy is extremely important to us, so our team would never send a CV without first ensuring the candidate's expressed permission. Sign up to our newsletter for latest jobs, industry updates, our regular blog posts and general tips and advice for finding work.